So I'm officially pregnant with baby #2. As promised, I'll begin documenting my second pregnancy and I'll be sure to compare it to my first pregnancy. Pictures! 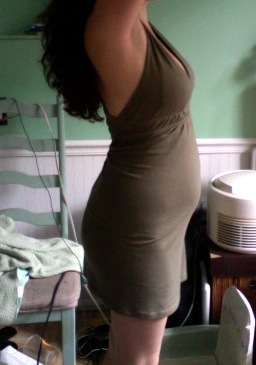 Ok, so the above picture is actually 14 months post pregnancy. 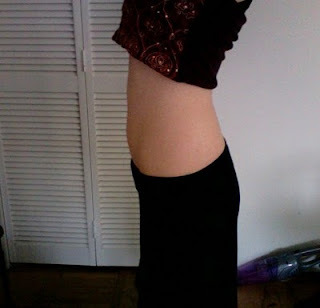 I was able to lose most of my baby weight but was still ten pounds heavier than my initial weight by the time I got pregnant. 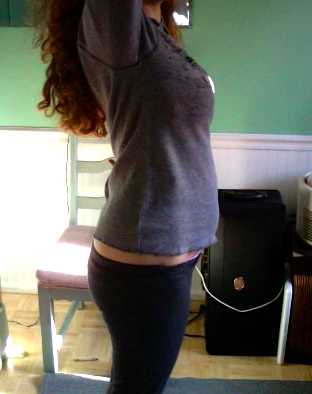 I'm a little nervous about this because I had hoped to lose more weight before getting pregnant again. 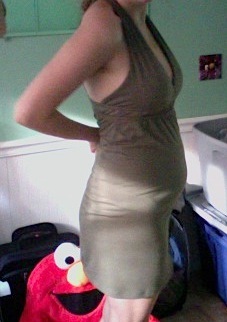 Now I'm 14 weeks pregnant and I'm much bigger than I was with my first pregnancy at this point. 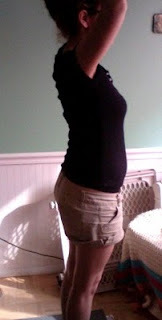 At five weeks it looked like I was already showing! 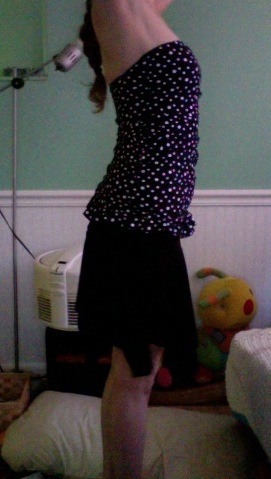 I didn't start showing with my first pregnancy until around 16 weeks. 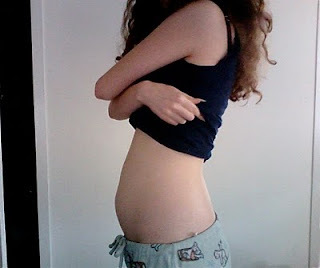 I started experiencing nausea at around 7 weeks with my second pregnancy and I'm still experiencing it now at 14 weeks. I cannot wait for this annoying side effect to be over and done with. 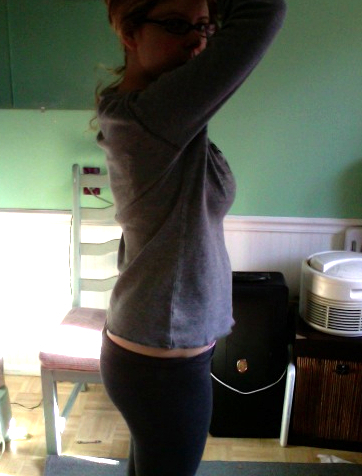 So far my second pregnancy has been different in that I've gained weight quicker and have experienced worse nausea. I was more fatigued with my first pregnancy than my current pregnancy. I had this bizarre thing happen where the only thing that helps my nausea go away is to eat, and even that's a temporary fix as I only feel good when there's food in my mouth. At around 9 weeks I finally figured out that I could just buy gum to chew on instead of eat. I'm very thankful for this intervention because I was trying to only gain about 25 lbs with this second pregnancy and with my first trimester weight gain, I was looking to be way off course for my goal. Hopefully I'll be able to exercise more (walking, etc., nothing too strenuous) once my stupid nausea and fatigue go away. Well Tif, you were pretty tiny to begin with. Walking sounds good though. Are you avoiding the super obvious bad foods, or are your cravings taking over?